Price is 77% above the initial Lego retail price! This comes down to 17.93 cent per brick. The 4x4 & Diving Boat (60012) Lego set is no longer directly available from the sites below. However, 3rd party partners of these sites might still have the set available. 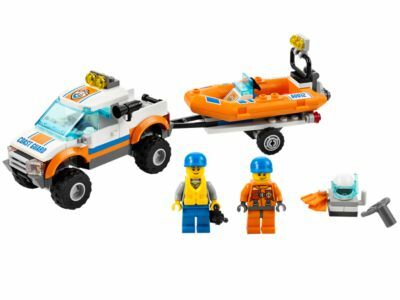 Alternate description Dive the waters of LEGO® City with the Coast Guard 4x4 and floating Diving Boat with 2 minifigures and lots of accessories!